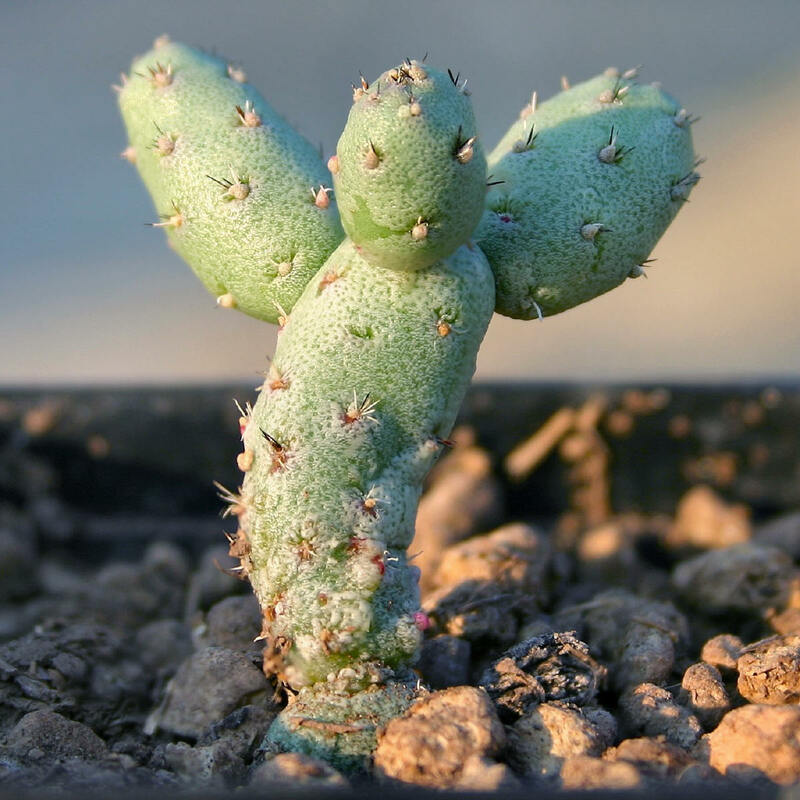 I'm really want to buy just a small cutting of Opuntia Subulata Mostrose after reading that it may have properties to cause the scion on grafts to branch like crazy. This is after reading these threads where they made strange chimearas with them. http://www.cactiguide.com/forum/viewtopic.php?f=22&t=9172 and also http://www.cactiguide.com/forum/viewtopic.php?f=22&t=8235. So far I've found a couple of ebay listings. Can anyone help me with this, is "Optuntia Subulata Monstrose" the same as "Austrocylindropuntia Subulata" or just "Optuntia Subulata" with no mention of "Monstrose"?!? Here is an example of a listing called Eve's Needles "Austrocylindropuntia Subulata" that I'm looking at buying. 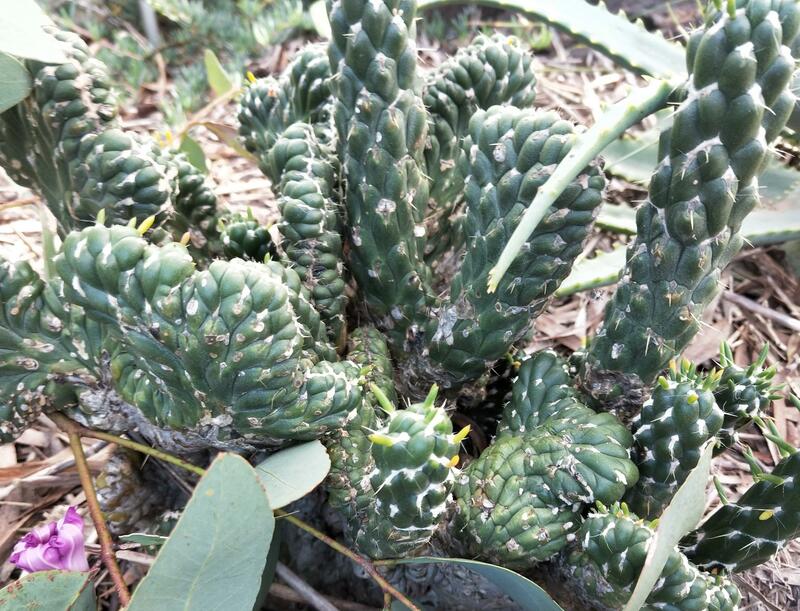 https://www.ebay.com.au/itm/Cactus-Eves-Needle-established-healthy-plant-over-10cm-tall/233003762952?hash=item36401b4508:g:aN4AAOSwaiBb6lpU I'm just not sure if it needs to have listed "Mostrose" or not as I've heard a rumor that these are not real Montrose anyway so are they all the same? So is O. Subulata the same as O. Subulata Monstrose? Image for one sold as "Monstrose"
Image for one sold without mention of "Mostrose"
I would expect that the monstrose is just a form of the species. Same species but with monstrose growth tendencies. Neither photo looks like the plants are showing monstrose growth, but this can be deceptive. Plenty of monstrose plants alternate between regular and monstrose growth. You could take a punt I suppose, depending on how much you want to gamble. Okay so what exactly are the "Monstrose growth tendancies". I've had a look around at some photos online for both O. Subulata and O. Subulata Monstrose and I'm not really sure what I'm supposed to be looking for. Any chance you might be able to post a pic from the net and give any pointers? Okay thanks for the pic & info. I've ordered some O. Subulata Monstrose seeds for 2 bucks + GST from China so will see if I can get them going through the winter with one of those cheap Chinesium USB camo heating mats (listed "for pets") and a warm white LED bulb on a timer. Seems to do the trick so far for most other cacti seeds. Hopefully customs don't have a hissy and hopfully the seeds are real deal. Funny if you read the stories on Ali Express about the so called glow plant seeds. The few people that actually got em to grow said they were just some garbarge random plant. I guess what do you expect for a buck when it comes to Chinesium seeds eh? (Those who might have read more into the experimental genetically engi-nerd-ed glow plant might have realised that it seems to have gone under after the crowd funder and all the hype surrounding it a few years back. I'm sure the anti gen-mod, tree hugging hippies will be releaved but I really want a glow plant to go with my long life radio-active glow sticks ).